My daughter is in Kindergarten and along with reading and recess, her favorite part of the school year is the holiday celebrations. We just had a Valentine’s Day party and now she is giddy about her upcoming class St. Patrick’s Day party. So, of course, she needs something festive and green to wear. 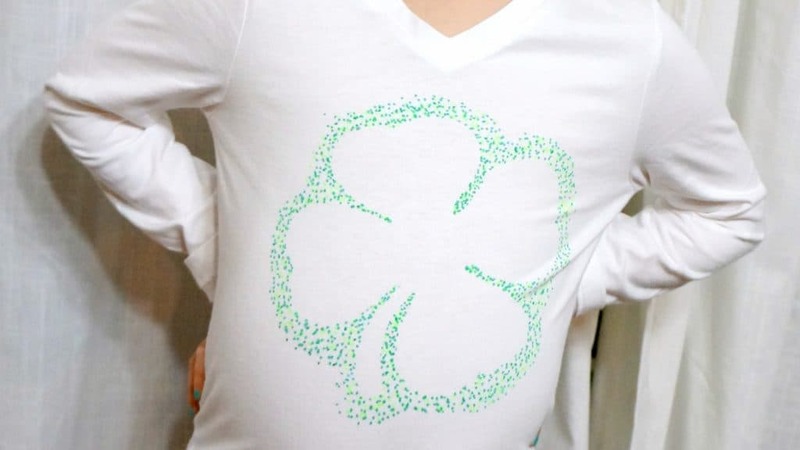 And really why buy something when you can upcycle a t-shirt into a cute shamrock shirt for St. Patrick’s Day. 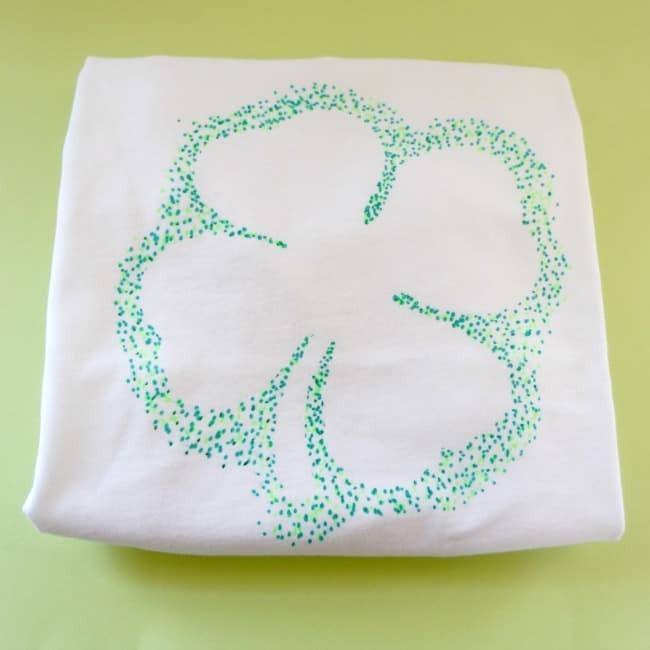 I used simple craft supplies to make this shamrock shirt and my daughter loves it. She is so ready for her classroom celebration. I have used this technique before to make my daughter a Wild Child shirt. She wore that one until it barely covered her belly. I washed it many times and the color did not fade. Be sure to follow the directions on your fabric marker package and your creation will hold up well. Using freezer paper is one of the best ways to get crisp lines on fabric. You can cut freezer paper with your Silhouette and make intricate designs for clothing and even wall art like these burlap canvas pieces. Once you are finished painting over your freezer paper stencil, just peel it off to reveal crisp lines. St. Patrick’s Day is a lot of fun but there is a rich history behind the holiday as well. 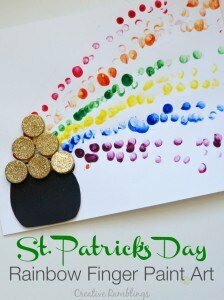 Take a look at this post for a good mix of St. Patrick’s Day history, crafts and snacks perfect for younger children. You can view more St. Patrick’s Day crafts below. I hope you have a wonderful St. Patrick’s Day filled with fun and lots of green. Gosh, that shirt is adorable! So very cute and clever! Oh my gosh, that daughter of yours! She’s a natural! And that shirt idea is fantastic! Now no one has an excuse to be shamrock-less on St. Patty’s day. I love how you used the fabric markers to create this super cute shirt for your daughter! Also, how cute would this shirt be in lots of other different designs?! Thanks Ashley, and yes I have so many shirt ideas now!